Breakthrough medical devices: where’s the love? Imagine a candy-like dietary supplement that you could pop in your mouth and it would suppress your appetite and help you lose weight safely. Further imagine that the supplement came in scrumptious flavors like chocolate, caramel, and peanut butter. Sounds intriguing, right? The Jeffrey Martin company bought the marketing rights in 1981, yet in the mid-80s, the weight-loss brand became so shunned that the manufacturers took it off the market. The brand actually existed, and it was called Ayds, pronounced like the deadly epidemic of the time, AIDS. And its slogan was, “Lose weight with Ayds.” The motto of this true story is that no matter if a brand is good or not, it will struggle for acceptance if it makes people uncomfortable. Such is the case with two breakthrough medical devices. Let me say off the bat that these two brands have perfectly good names. One is Optune and the other is NeuroStar. The former has been proven to significantly extend survival in difficult-to-treat cancers without any kind of serious side effects typical of chemotherapy. The latter has shown remarkable efficacy in treating Major Depressive Disorder (i.e. serious, chronic depression), and has actually done what many physicians consider to be impossible: induce remission from depression. That is, the depression goes away completely. NeuroStar also has an excellent safety profile. You would assume that oncologists would use Optune as approved by the FDA as part of what’s called a “standard of care,” which is a regimen sanctioned by guidelines and used almost always. Likewise you would assume that psychiatrists would use or advocate NeuroStar (also approved by the FDA) in nearly every case of Major Depressive Disorder, especially when the mental illness is resistant to antidepressants. While many physicians in their respective specialties have tried and/or use these two brands, it is a hard sell. Why is that? Optune is a wearable device that consists of a series of arrays—or linked plates—that must make contact with the body area where the cancer lies. In gliobastoma, a type of brain cancer, the device is worn like a skull cap. Patients must shave their heads, and wear the device at least 18-hours a day. A convenient body pack supplies the power that sends finely tuned electronic waves into the arrays to prevent cancer cells from reproducing, while leaving normal cells unharmed. In clinical trials, Optune has helped glioblsatoma patients live as long as five years, whereas the current standard of care—surgery, radiation and chemotherapy—averages out at about 18 months. 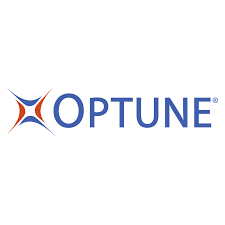 (Optune is currently being studied in other cancers.) In theory, oncologists recognize that Optune is a new modality—one would even say a breakthrough therapy. However, the prospect of a device makes them uncomfortable. They are, after all, medical doctors who are in the habit of treating cancer with, well, medicine. If this were a pill, it would be tried on every patient. Naturally, if the oncologist lacks comfort, such discomfort is automatically transferred to patients. However, in all fairness, there are a number of patients who also find the prospect of an 18-hour device and a shaved head to be uncomfortable, and they willingly trade the “hassle” for a better chance of longevity. Such is the strength of discomfort that it can overcome the will to live. Unlike cancer, depression is rarely fatal. (Sometimes depression can drive people to commit suicide.) And once again, we see psychiatrists balk at the idea of not treating with a medication even when the device, NeuroStar, gets much better results. Psychiatrists are chemists by nature; they are people who eagerly try many different medicines and combinations to get just the right formula to restore a state of normalcy. So what’s the problem? First, NeuroStar is a hands-on therapy, and psychiatrists are not hands-on people. They use pills and talk therapy. Even when they resort to electro-convulsive therapy, they out-source it to another physician. 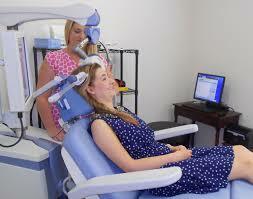 Further, in order to use NeuroStar, the psychiatrist must purchase the device and install it in his/her office. The device looks something like a dentist’s chair, with a coil feature around the areas of the brain that control mood. NeuroStar uses magnetic waves similar to MRIs to normalize brain activity. 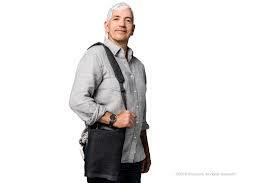 The device requires an outlay of cash, one that can be recouped in as little as a year. But it also requires psychiatrists to become “business people.” They must use the device, submit for reimbursement from insurance companies, and keep track of the payment margins to ensure a good rate of return. Psychiatrists, like most doctors, are terrible business people. They’re great at diagnosing and treating, but find the prospect of managing a practice an uncomfortable hassle. Again, discomfort wins out over results. In order to change behavior, one must first change beliefs. And until medical doctors change their beliefs about stepping away from their comfort zone, they are not giving their patients every chance to succeed. The first tenet of medicine is, “first do no harm.” Where’s the harm in giving devices a closer look?